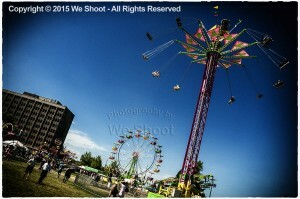 A carnival-style ride takes riders to a high place. Image by Seattle Commercial Photographer We Shoot. 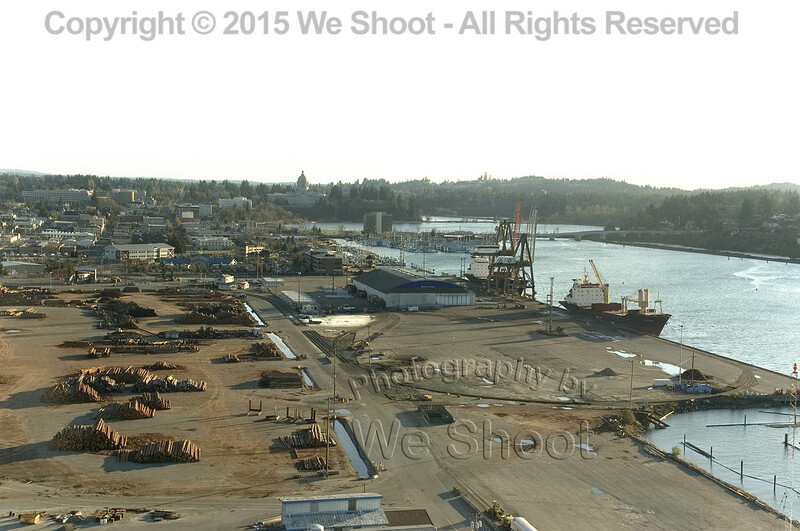 Aerial view of the Port of Olympia, Washington by Seattle commercial Photographer We Shoot. 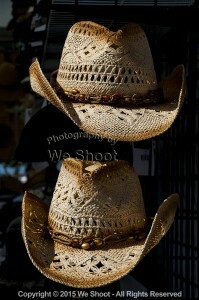 A pair of straw cowboy hats on display by Seattle Commercial Photographer We Shoot. 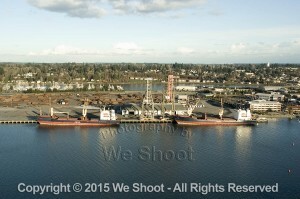 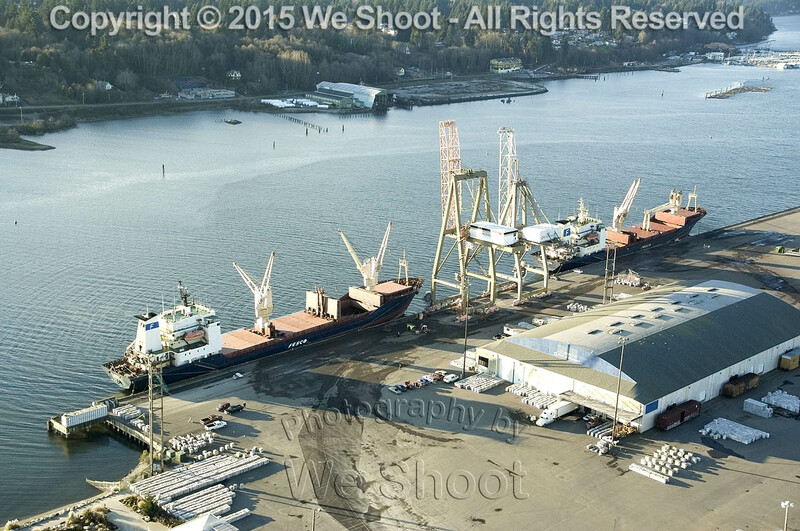 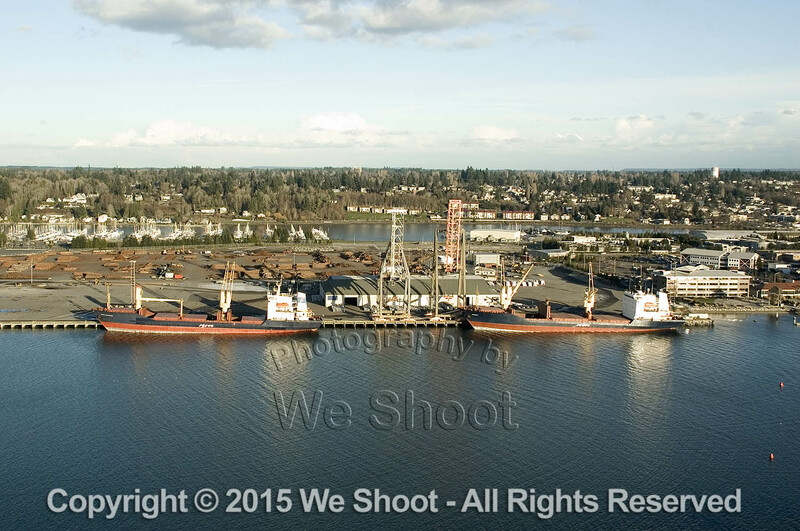 An aerial view of the Port of Olympia, Washington by Seattle commercial photographer We Shoot. The State Capitol Building is in the background. 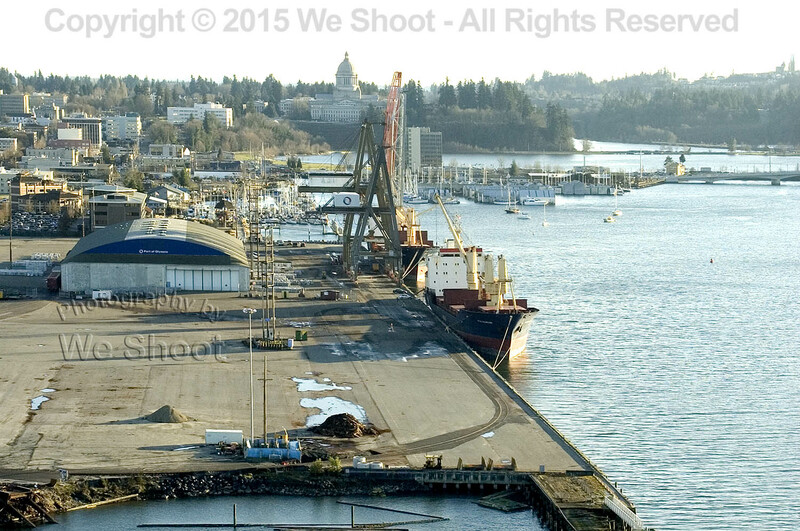 Aerial view of the Port of Olympia by Seattle Commercial Photographer We Shoot. 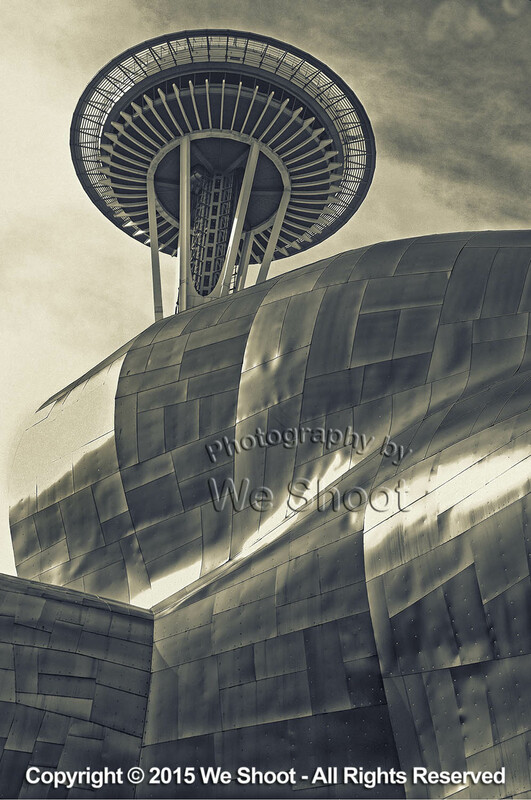 View of the Space Needle behind the Frank Gehry-designed, metal-clad EMP Museum by Seattle Photographer We Shoot. 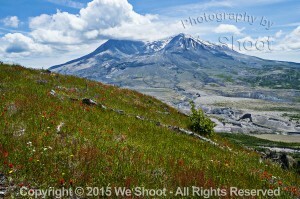 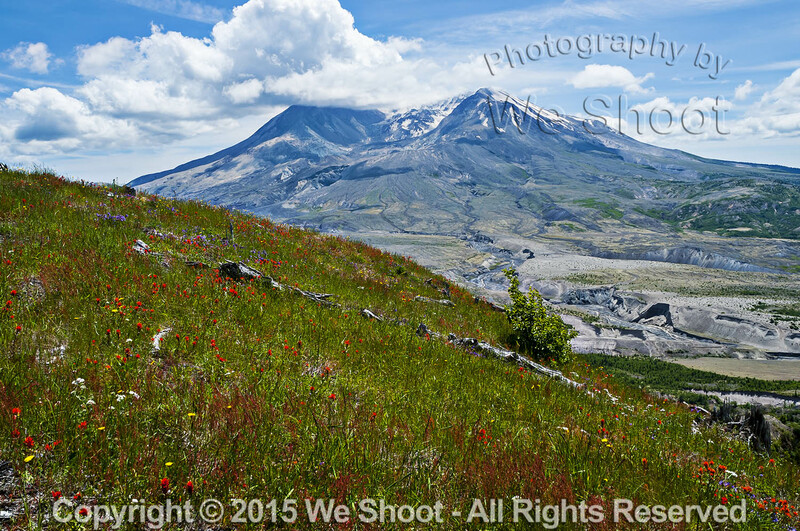 Mount Saint Helens viewed from across a grassy hillside with wildflowers by Seattle Commercial Photographer We Shoot. This orange and yellow building can be found in Shelton, Washington. 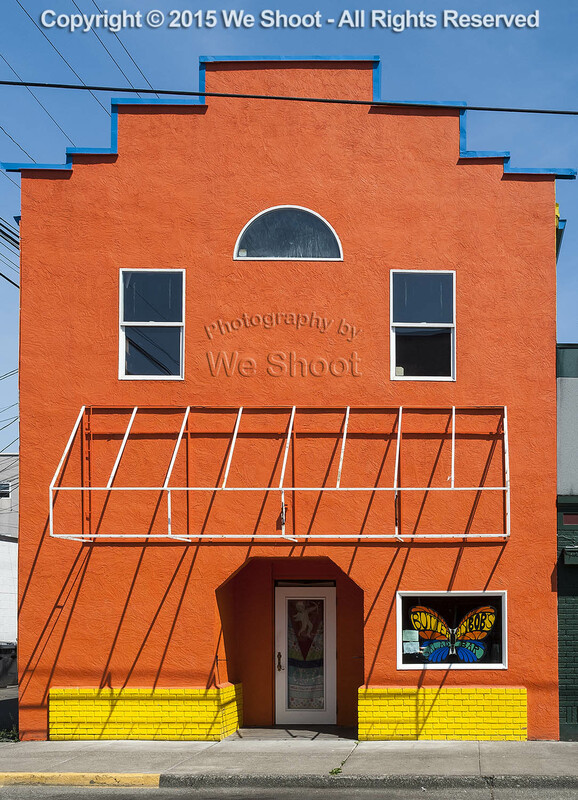 Architectural photography by We Shoot. 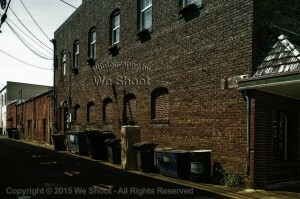 A forbidding alleyway in a small town with refuse containers of various sizes by We Shoot. Why are the windows on the ground floor bricked up?